Have you noticed large amounts of water entering your basement in South Dakota and the surrounding area? If you start seeing frequent water stains, constant high humidity, and water pooling in your basement, you may have flooding problems. 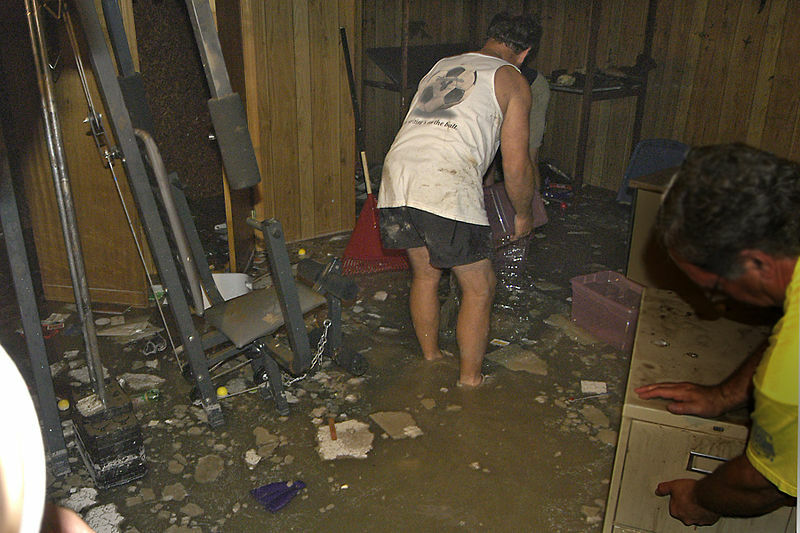 Most of the time, basements are not constantly flooded but become flooded after heavy rains or snowmelt. Regardless, basement flooding is an issue that no one wants to deal with. That is why Rapid Foundation Repair offers flooded basement solutions. Flooding normally occurs due to a combination of conditions. First, water needs an entry point into your home. Most often, this is a foundation crack or a gap between the foundation wall and floor or ceiling. These cracks or gaps can form when the foundation starts to sink or settle due to changes in the soil that support it. Next, water must be able to pool around the foundation. If water can collect in low spots near the foundation, it is more likely to be able to seep through the foundation and leak through concrete cracks. The last condition is that there must be a large amount of water coming into your home. This is why flooding normally occurs during a storm or once temperatures start to warm up after winter, causing snow to melt. If you see signs of a flooded basement in your home, contact a waterproofing contractor as soon as possible. 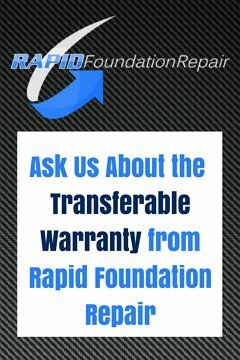 Rapid Foundation Repair has the waterproofing tools and experience to remove water from your home and keep it dry for years to come. Fixing the Foundation: First, the foundation must be repaired to close any foundation cracks. If there are cracks and settlement, we install helical piers or steel push piers to do this. If the cracks are in the bowing or leaning basement walls, we will use helical tiebacks or wall anchors. Remove Basement Water: Next, we need to remove water from the home. This can be done using an interior drainage system. 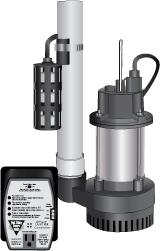 This system is made up of various channels and drain pipes that collect water and bring it to the sump pit, where it is removed from the home with the sump pump. Prevent Flooding: The last step is to make sure the home is well waterproofed to prevent water from entering the basement again. This can be done by installing an exterior drainage system to reduce groundwater around the home, installing surface drainage to keep water from pooling near the foundation, and using crawl space vapor barriers and encapsulation to keep moisture from entering the crawl space. To tackle these three basic steps to fix flooded basements in South Dakota, we offer several different waterproofing solutions and foundation repair options. To close cracks in your foundation, we use only high-grade steel piers and helical piers from ECP (Earth Contact Products). Our waterproofing team then works with you to find the best solutions for your home and implement them as efficiently and effectively as possible.